Hope you had a great time meeting each other. 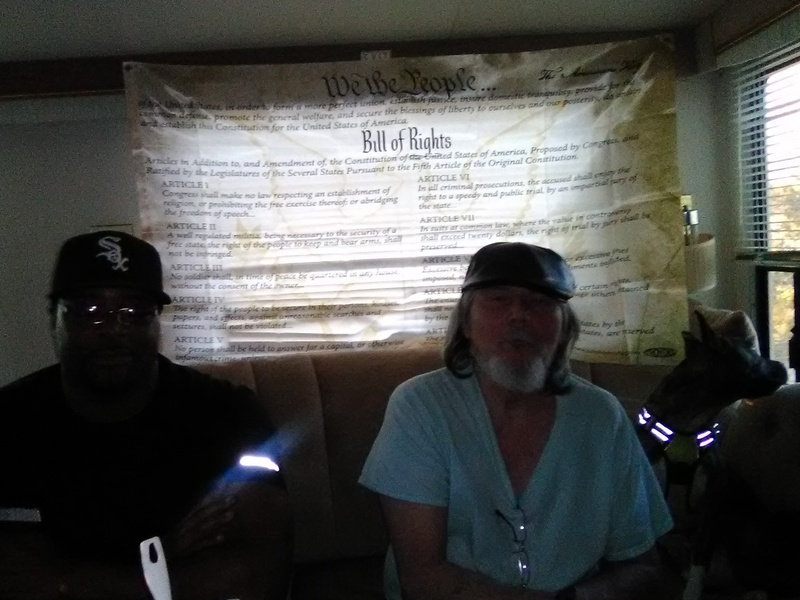 Nice Bill of Rights flag. I HAVE TO THANK MARY FOR THAT ONE…….. Very Cool Guys. WE THE PEOPLE! ALL GOOD………..HE IS WHAT HE SAYS HE IS. A FREE AMERICAN. This is what they fear the most! You both look like men who would defend our Bill of Rights, Cool. Love the Flag.